Just to borrow a phrase used by one of my friend, in Chinese "You Juan Jiu Hao" (got earn, good enough liao). Warren Buffet learnt about Seller Remorse early in his life. If it is a truly good business, you should be targeting a much longer holding period and a much higher gain. Good businesses are tough to find with a decent margin of safety, and the problem with selling is that you need to figure out where to deploy your capital next. With valuations on the rise across the board, this task just gets tougher and tougher. 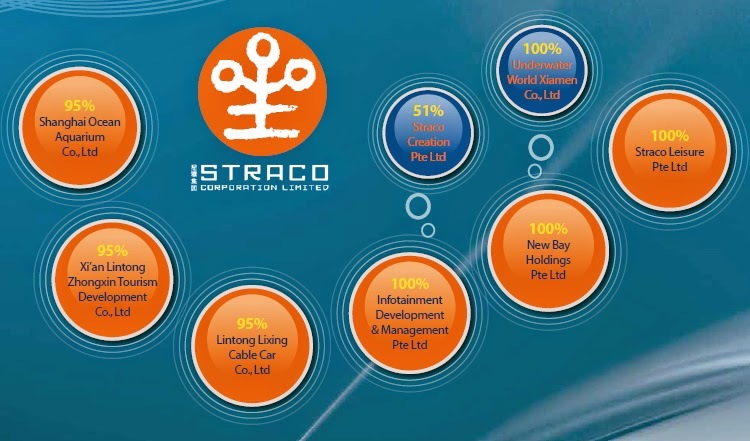 Interesting to know as you are the few I know to divest straco. I divested it myself as I have a contrarian opinion on straco. I felt the margin of safety had diminished and I did mot feel the same about the aquarium business as "bao zuan". Durian "bao jiak" when eating at the stall. can still show and exchange those bad seeds. Bad stocks like eating at home. can't show bad ones for exhange.